Britax launches its most advanced Safe-n-Sound car seats - for babies and big kids! Britax launches its most advanced Safe-n-Sound car seats – for babies and big kids! We’re celebrating new additions to the Britax family – and just like any new arrival these have been highly anticipated, and a long time in the making! There are two new car seats, and a makeover for one of our favourites – come and see what all the fuss is about. Choosing your baby’s car seat is serious business. It’s one of the most important purchases we make for our children – and we all want the most advanced and safest car seat available. Britax has been a world leader in child restraint safety for almost half a century, and that’s because it stays at the forefront of emerging safety technology. In fact, it’s the only car seat manufacturer in the southern hemisphere with its own crash test facility. These latest Safe-n-Sound car seats use the most up-to-date safety advances, and will see your children well into childhood. This beauty is headlining the new Safe-n-Sound additions – it’s being touted as Britax’s most advanced harnessed car seat. 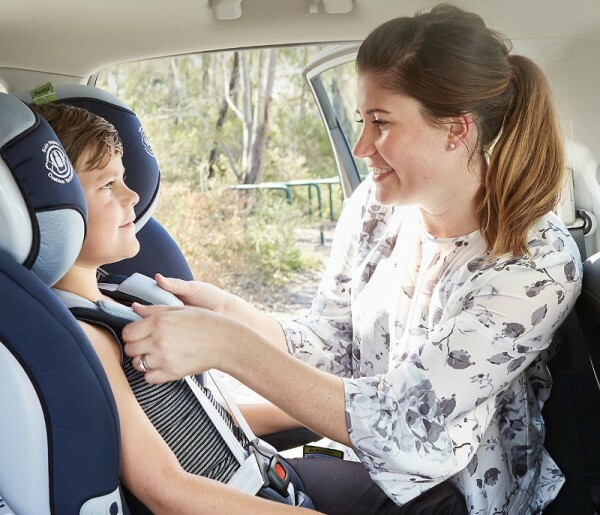 While it boasts supreme comfort and a generous helping of slick design, when it comes down to it we all want a car seat that will protect our child if something goes wrong on the road. The new Maxi Guard PRO has Side Impact Cushioning Technology, a fancy name for a feature that’s all about minimising impact forces to a child’s head and torso. I did mention it’s a little bit special when it comes to comfort, and that’s because it’s covered in Thermo5 High Performance Fabric, which is all about keeping baby warm or cool, depending on conditions. The new Maxi Guard PRO can be used from six months, right up to about eight years old. The Maxi Guard is one of the most popular car seats in the Safe-n-Sound range, and it’s easy to see why. 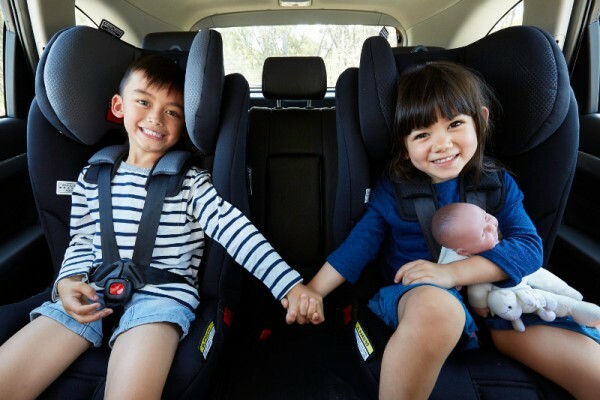 Again, with safety paramount, this car seat has been designed to keep children safer for longer (it can also be used from six months to about eight years). The forward facing harnessed seat with Active Head Restraint has targeted head and torso protection. And now you have even more choice in colour – the classic black base can now be accented with grey, blue, pink or red. If there’s one thing mums everywhere love, it’s versatility (after all, we’re the queens of being versatile!). The Maxi Lite is Safe-n-Sound’s new convertible booster seat, a super safe car seat that will grow with your baby and is really easy to use. When it’s in the forward facing mode, use the in-built harness for your baby from six months up to about four years old. Then it can be converted into a booster seat, with the use of the lap belt in your car and can be used up until about eight years old. 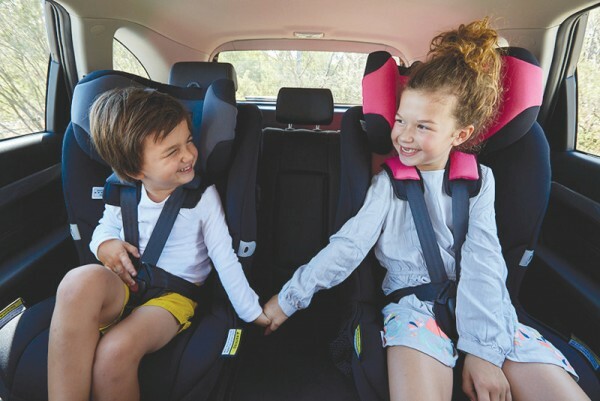 We all want to do the best we can to protect our children, and it’s great to know that we can access the best, most advanced products on the market to help keep them safe when we’re out on the road. To take a browse through the entire award-winning range, head to Britax.